At the outset, two things about The Invention of Angel Carter are surprising. The first is that we’ve waited this long for a biography of Carter who died of cancer, aged 51, in 1992. The second is that this is Edmund Gordon’s first book. Gordon, who’s one of our best young critics, has been writing perceptive articles for newspapers and literary magazines for several years, as well as teaching English at King’s College London. So on two counts this book feels overdue. On neither count does it disappoint. Writers are “invented and reinvented” by their readers, says Gordon, long after their deaths. In Carter’s case the posthumous myth-making has “taken on a life of its own”. Her books stand “defiantly apart” from those of her contemporaries and are among the most celebrated of the past half-century. 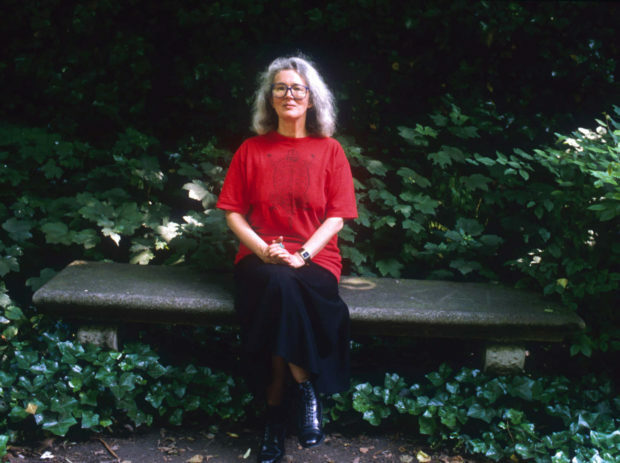 She believed that gender roles were “always a fabrication” and her work has challenged and reflected feminist thinking since the publication of her first novel, Shadow Dance, in 1966. The popular view of Carter, however, is encapsulated by Salman Rushdie’s description of her as the “benevolent white witch” of English literature. Gordon sets out to demythologise Carter and succeeds in depicting a unique and complex figure who was serious, funny and politically engaged. Initially, her childhood in post-war south London sounds almost idyllic. Her father took Angela and her brother to the cinema and encouraged her to become a journalist at a time when most young women were expected to get married and stay at home. However, a “deluge of parental attention” from her mother lead Angela to “place a high value on solitude” and she was isolated at school. Her marriage to Paul Carter, a dour stalwart of the 1960s folk music scene, was miserable. That said, Angela made lifelong friends during their years living in Bristol and, by the time the couple divorced, she’d published five novels and was still only 32. She felt liberated by the breakup and travelled to Japan where she fell in love twice and found the settings for some of her best stories. Back in England, she met her second husband, Mark Pearce, and wrote the books The Bloody Chamber (1979), Nights at the Circus(1984) and Wise Children (1991) – on which her reputation rests. Gordon explains the role of fairy tales in Carter’s work and its relation to South American magical realism. He captures her happy home life with Pearce and their son Alex and introduces a vivid cast of friends and colleagues, including the publisher Carmen Callil, Lorna Sage and Ian McEwan. Personal taste was an important part of Carter’s literary judgements, so I don’t mind admitting that I’ve always been put off her oeuvre by the “batty kind of whimsicality” that she identified in her early writing. And yet Gordon’s book reminded me of the deep pleasures of literary biography at its best. It will fascinate Carter’s admirers, create interest in her work among a new generation and possibly even make her detractors think again.